Opportunity to buy country house with pool, vineyard and olive grove producing award winning Bardolino DOC red wine as well as the highly valued Garda DOP extra virgin olive oil. 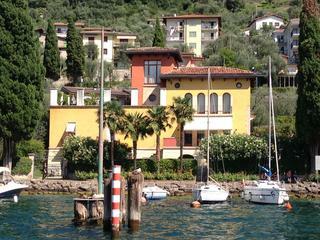 Offering privacy, proximity and acreage - a rare find on Lake Garda. Situated on 2 hectares (up to 7 available) which includes vineyard and an olive grove with 300 trees which produce 550 litres of precious oil. Offering stunning, sweeping vineyard, lake and mountain views. Gentle rolling hills and beautiful landscaping frame this fabulous home located just minutes from the World famous Lake Garda and the historical ancient walled town of Lazise. Designed with the intentions of embracing the Lake Garda lifestyle, this home offers privacy and comfort surrounded by incredible nature that goes above and beyond all expectations. 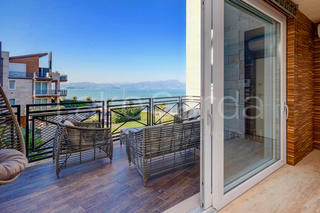 Located in a perfect position to quickly reach places of culture, history and entertainment. Verona is reachable in twenty minutes by car. Venice, Milan and the Dolomites can be easily reached just in an hour by car or train. Click here to learn more about this stunning estate.